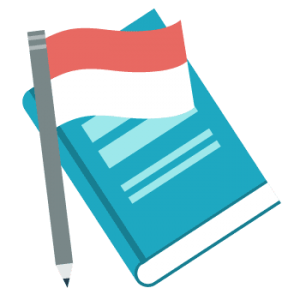 Are you in need of a competent Indonesian translation company that will translate your content from Indonesian to English? Universal Translation Services has a great team of native Indonesian translators who will provide accurate Indonesian to English translation or English to Indonesian translation with ease and style and with great economical prices. If you’re a Bahasa Indonesian business looking to tap on the international market or an US business dealing in Indonesia we can help you with accurate business translations from Indonesian to English or from English into Indonesian at low rates, perfectly localized to your target market. Indonesia people are looking to immigrate to the US more than any other country and if you are one of those people we can help you with USCIS certified translation of any personal documents, ready in 24 hours – translation guaranteed to be accepted by any USCIS office. Although we never settle for anything less than high quality, we do have some of the lowest translation prices you can find. Add to the fact that we are available 24/7 and deliver in a really short time, and you’ll see why 23,000 clients consider us the best translation company. Indonesian is the language that is nationally spoken in Indonesia. As Indonesia is a collection of Islands in the Pacific Asia with an enormous amount of regional languages spoken across the land, this language is most attributed to the unification and nationalization of the Indonesian people. Indonesian is also spoken in East Timor as it was once a colony of Indonesia. The Indonesian language is also the third major foreign language in Australia where it is even a close to native language of one or two Islands. The Indonesian language is a very common language as the immigrant population of Indonesia all across the world is considerable. Many Indonesian expatriates find themselves in need of Indonesian translators who can help them with their documents. Our team of professional translators is the best in business with exceptional translation capabilities and a strong native background. When translating a foreign language, your translator is best advised to be a native speaker of that language as that makes it much easier for the translator to understand and conquer even the toughest of the translation challenges that may come his way. The translation needs of the Indonesian speaking population are wide and varied as it is the fourth most spoken language in the world. Indonesian people looking to immigrate to the US can count on us to deliver certified Bahasa Indonesian to English translation for documents like birth, marriage and divorce certificates, diplomas and degrees, medical and police reports, passports, driving licenses, or any other document needed during the immigration process. We are available for any and all forms of translation services such as media, medicine, legal or financial translations and all others. Indonesian businesses looking to expand globally need accurate Indonesian to English translation services in order to translate their website and all marketing materials to English. Global businesses looking to get customers from Indonesia need English to Indonesian translation of the same high quality. And this is where we can help. Indonesian market and media are strong and vibrant in their native land. As Indonesia is the hub of trade and economy and also a considerable amount of foreign workers are taken from the land; the marketing content for this nation is of significant importance to the business of this age. We are here to help you get the perfect marketing strategies for the Indonesian market. 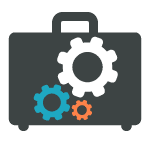 Our translators work with software engineers to carefully design the marketing strategy for your website that will cater to your marketing needs perfectly and give you the best results. Universal Translation Services provides the best translation of scripts, sub titles and voice over in and from the Indonesian market. We translate both in Bahasa Indonesian and from Indonesian to English. We have an incredibly long history of producing impeccable scripts and other materials for Jakarta and the greater population. We have complete confidence in our ability to handle the lingo and all other linguistic challenges. We take our responsibility of bringing the world to Indonesia and vice versa very passionately and are great translators of Indonesian movies, documentaries and all other significant works of media. We are proud to be the bridge and our client list speaks for itself. We are proud of our portfolio in translating legal documents to and from Indonesian. We have exceptionally trained linguists with a strong background in understanding and translating legal documents. We are the best team for documents that are completely written in Indonesian and will require proficiency not only in the Indonesian language but also in the Indonesian laws and regulations. 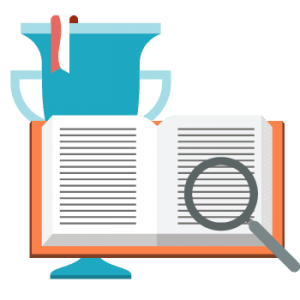 We will translate your content in legal English and avoid awkward phrasing at all times while strictly retaining all the meanings in the original documents that were presented to us. Whether you are looking to translate business documents of legal nature or personal documents for immigration to the US, you can be sure that an accurate translation will be sent to you fast without having to pay extra fees for rush delivery. Providing access to healthcare and helping communication between Indonesian patients and their doctors is one of the most significant goals of language services providers. To make sure that quality access is provided and that clear communication can occur between doctor and patient, our professional Indonesian translators are professionally trained and instructed in specific medical terminology and healthcare training. Their knowledge to provide accurate and concise explanations of complicated medical concepts ensures accurate Indonesian English translation from doctors and perfect understanding from patients. From medical reports, diagnosis, patient survey reports, procedure explanations, to prescription information and medical records, our translators are ready to provide excellent Indonesian to English and English to Indonesian medical translation services. Bahasa Indonesia or Indonesian is recognized as the official language of Indonesia. Indonesian is a regulated form of the Riau Islands dialect of Malay, an Austronesian language which has been adopted as a lingua franca in the Indonesian archipelago for ages. Indonesia is the fourth most populated country in the world. Of its large community, the number of people who fluently speak Indonesian is fast nearing 100%, thus making Indonesian one of the most widely used languages in the world. Nearly the whole population of Indonesia speaks Bahasa Indonesia, and that amounts to a considerable figure of 240 million people. This leads to considerable Indonesian to English and English to Indonesian translation requirements, and at UTS we keep getting Indonesian translation projects on a regular basis. 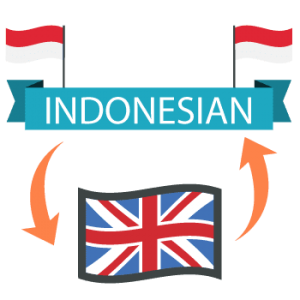 We’ve carried out translations between many language pairs including Indonesian to English and English to Indonesian translation. At Universal Translation services, we offer professional Indonesian translation services. Whether you are looking for a professional Indonesian translator for specific documents or a translation team for an ongoing business account, you will find your highest standards met at UTS. We can also translate any Indonesian document into English or any other language. We have offered the highest quality translation services for over eighteen years. Our translation abilities and knowledge are unsurpassed. We offer all sort of document translation, multilingual website translation, software translation, etc. 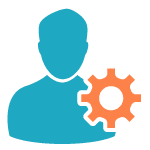 Our network of experts covers a complete array of areas of particular expertise, including medical, legal, business, technical, financial and marketing fields. We offer expert translation to businesses, educational institutions, technology specialists and individuals, among many others. Only native Indonesian speakers handle all the translation projects. Each Indonesian translator has a solid experience in translation. Our Indonesian experts offer document translations that are correct, precise and culturally accurate. Indonesia is an incredibly beautiful land that is the hub of tourism, travel, economy and vibrant culture. We are in great appreciation of this land and its people, and it is our pleasure to provide affordable Bahasa Indonesian to English or English to Bahasa Indonesian translation of the highest quality and outstanding customer support available 24/7. Please come and see us for your linguistic needs from and into the Indonesian language. We look forward to meet you and giving you the best services present in the market.